The best online beginner's Mandarin course. Ever. ↓ Scroll down for more info. 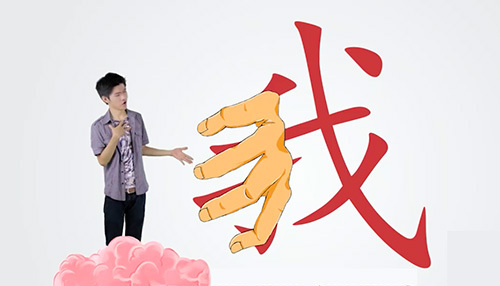 The Speed Mandarin Beginner's Course teaches the basics of Mandarin Chinese. It will take roughly 10 hours to complete this course, including the videos, Read Up’s, and Quiz Up’s. This course contains videos on creative ways to memorize Chinese characters, videos on practical applications of those characters, “Read Ups” for your revision and study, and “Quiz Ups”, which are like fun little exams to challenge what you have learned. Also, you get PDF and MP3 downloads so you can play our audio tracks when you’re driving, having your morning tea, or even when you’re showering. This course will build you a rock solid foundation in the Mandarin language. Your confidence will be top-notch and after completion of this course, you will be able to continue learning Mandarin like second nature due to your multiplied intuition. Start learning Chinese todayTake me to the course! Students will need a decent Internet connection: If you can load YouTube smoothly, that's good enough! Students will need a computer: Or a smart phone / tablet / smart TV. Your progress is synced with our web, Android, and iOS apps! Students will need to know basic English: This whole course is delivered in English, and for those who are hard of hearing, we have English subtitles too! Students will need 10 hours: The videos, Read Ups, Quiz Ups, and general revision will take ≈ 10 hours, or if you like, 15 min/day for a month. What Will I Gain from This Course? A strong Mandarin foundation & intuition: This course will build you so that Mandarin will feel comfortable and no longer alien. Good character reading skills: Our Mandarin pictograms will really make you remember every character confidently without confusion. Good speaking & conversational skills: The 250+ examples of practical sentences in this course will equip you to build even more sentences by yourself. Access to our premium Facebook group: This is where you can ask us questions about your course and connect with other students! As much as we would like everyone to join our course, it is not for everyone. Experienced Mandarin learners: As we have made Mandarin Chinese one of the easiest languages to learn (we really believe so! ), experienced Mandarin learners will find our course to be too easy and ask for a refund immediately. People with very slow internet: Obviously, if you’re reading this, you have internet. Even though we have hosted our videos on fast servers, if you can’t even load Youtube smoothly, you are not going to enjoy our constantly-buffering videos and slow-loading Quiz Ups. People who don’t know basic English: You obviously know English if you’re reading this, which means you don’t fall under this category. Just please don’t get this course for someone who speaks only Spanish, because we use English as our primary language of teaching. Anyone who wants to learn Mandarin from scratch: If you have absolutely zero knowledge on Mandarin, that is awesome, because you will go from zero to hero by the end of this course. Anyone who has tried but failed to learn Mandarin: Yes, Mandarin is famous for being difficult, but we have made it one of the easiest languages with our unconventionally effective learning techniques. That’s why it’s value for money. People who can speak but can't read: If you already know how to speak but don’t know how to read and want to learn that, feel free to take this course which contains beautiful and memorable pictograms. *Character PDF and MP3 tracks included! How to learn and remember: “Ma” - interrogatory interjection. How to answer “ma” questions. She doesn’t want to drink. She doesn’t want to play. How to say: How are you? How to say: Okay? Okay. How to say: Nice to eat, drink, etc. How are you? I’m good. Is it nice to drink? Yes. Does he/she want to go? Is the chicken tasty? Yes. Is the chicken rice tasty? Yes. Is the chicken tasty? No. Is the fish tasty? No. I have! Does he/she have? Do you want to drink water? Do you want to eat rice? Do you want to play with water? Do you want to play with cats? How to learn and remember: What? How to learn and remember: Who? How to learn and remember: Come in / Go in. This is chicken rice. That is chicken. This is fish. That is rice. What is this? This is chicken rice. What is this? This is rish. What is that? That is water. What is that? That is milk. How to learn and remember: Where? How to learn and remember: Why? How to learn and remember: How? How to answer to “how” questions. Here is the beach; there is the mountain. Here is the country; there is the city. There are cats here; there are horses here. Come eat here; go play there. Where are you going? India. I want this “one”; I want that “one”. Eat this. Why? Because it’s tasty. Drink this. Why? Because it’s nice to drink. Play this. Why? Because it’s fun. Come here. Why? Because it’s fun here! How to come? Like this. How to go to London? Like that. How to come? Like that. How to go to New York? Like this. How do you eat this “one”? How do you drink this “one”? How do you play that “one”? How to learn and remember: How many? How to learn and remember: Which? How to answer “which” questions. Which one is the Persian cat? Which one is the Appaloosa horse? How much time is saved by Speed Mandarin? Normally: According to sources , it takes 2200 hours to learn 3000 Chinese characters, a ratio of 11 hours for 15 characters. Speed Mandarin: Our beginner's course contains detailed explanation on usage of 43 characters, which you will finish learning in about 10 hours. According to the normal ratio mentioned, it will take 32 hours elsewhere. Therefore, we save you 22 hours. How much money is saved by Speed Mandarin? Normally: According to sources , the average cost per hour is £13.35 (≈ $16.35) for Mandarin education. 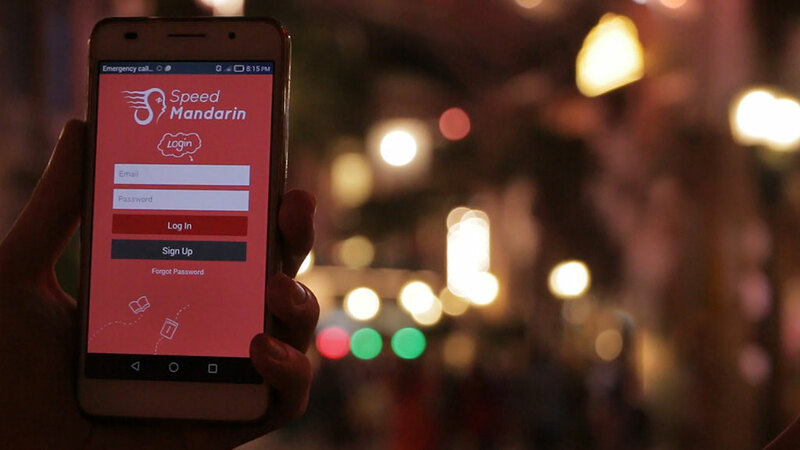 Speed Mandarin: Well, we cost $117 and 10 hours to learn 43 characters. Elsewhere, it would take 32 hours to learn 43 characters, and the price elsewhere for 32 hours is £427.20 (≈ $523.00). Therefore, we save you $406.00. That’s a lot, so join our course before we decide to raise our fee. Need a Reason to Learn Mandarin? China is the world’s 2nd largest economy: It’s right behind the United States. Therefore, if you speak English, it’s time to learn Mandarin. 60+ million people worldwide are learning Mandarin as a 2nd language: The number increases by 3 million every year. People like Mark Zuckerberg and Viktor Axelsen have learned Mandarin: They are still learning and improving their Mandarin skills for a better future. I even remember the basics now that I had learned over a month ago... It's much better than anything I have found elsewhere. A lot of effort to make it entertaining visually, clear and fun. Gloson Teh is terrific. It's great for beginners 👍 The format of videos, readings then quiz is easy to follow and short and concise enough for someone to do it in their spare time. It's actually better than even trying to get a textbook or listening at the door of the Mandarin exam preparation classes. The videos are hilarious and it doesn't take long for me to learn. If they could do it, so can you! Click on them to view their videos. Atiqah: This lovely Malay flight attendant did an amazing job in picking up the language. Her Chinese passengers would be amazed! Click on her to see her read. Muhammad Yussaini: This charming Malay sailor went one step further: He translated the Chinese sentences into Malay! Click on him to see his feat. Indian Boy: Check out one of our oldest videos from 2007 in which this young Indian boy reads Mandarin like a pro. Click on him to see his video. Farrukh: No matter what race you are, even if you're Middle-Eastern, Mandarin is easy with Speed Mandarin. Click on him for his video. Gloson Teh is a former child prodigy who could read advanced Mandarin at age of 3 (videos here) due to being trained by Grace. He has since gone on to publish two children’s poetry books, and is in the Malaysia Book of Records as the Youngest Published Poet. As a result, he is skilled in the art of delivering information. Grace Khoong has been teaching Mandarin to kids and adults for more than 16 years. A brain-researcher and educator, she has had a lot of success teaching non-Chinese to speak, read, and converse in Mandarin (videos here). Thank you very much for trying out our trial! In order to proceed, please purchase the full course. Please contact us if you have any questions. This is perhaps your best spend in your journey of learning Mandarin.